Whatever plans we make for ourselves, sometimes God steps in and changes them – and our lives are forever altered. That’s what happened to Dr. M. Jawad Javed on the last rotation of his internship. Dr. Javed had known since a young age he likely would become a physician. He was 4 years old when he read the word “stethoscope” in a book. By the time he got to college and medical school, Dr. Javed was set on becoming a cardiologist. But at the end of his internship, he was assigned to neonatology and everything changed. “There was something about taking care of the infants, relating to the families and being these babies’ first doctor that was very appealing,” Dr. Javed said. “The procedures and intensity of being in an ICU setting, yet at the same time having the ability to form lasting relationships with these families, was a really beautiful part of the field. Dr. Javed is the division head of neonatology and medical director of the neonatal intensive care unit (NICU) at OSF HealthCare Children’s Hospital of Illinois in Peoria, where he has been witnessing those miracles since 2008. He and the NICU team at OSF Children’s Hospital have cared for premature babies as small as 1 pound – “about the weight and size of a Coke can,” he said – and watched them grow into healthy children. They have seen infants overcome severe physical abnormalities. Dr. Javed also brings more than clinical expertise to his role as physician. 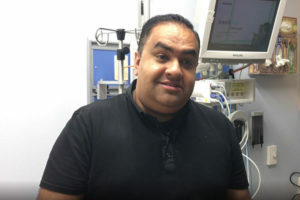 He and his wife, Zohra, have experienced the NICU as parents. They have three children and their youngest, 6-year-old Zayan, was born eight weeks premature. The experience also heightened Dr. Javed’s appreciation for his fellow Mission Partners at OSF HealthCare, from the doctors and APRNs to the nurses, respiratory therapists, dietitians, pharmacists and the entire NICU staff. “It truly takes a community to care for these infants,” he said. Dr. Javed viewed that journey as a learning opportunity, just as he has viewed his entire life. His father not only preached the importance of hard work, but set a living example. Afzal Javed had won a visa lottery and arrived in the United States from Pakistan in 1974, with $300 in his pocket. He worked odd jobs, earned his master’s degree in education, landed a teaching position in Michigan and within a year was able to sponsor his wife and 9-month-old son, Jawad, to join him. In the ensuing years, Jawad would share a single bedroom with his four younger siblings as they worked and played and set goals and achieved. All of them today work in health care, although he is the only physician. Dr. Javed embraces the Mission of OSF HealthCare with passion that fills his voice and covers his face with a loving smile. “We shouldn’t take for granted the opportunity to serve our fellow human beings,” Dr. Javed said. “It comes with tremendous responsibility, but it is extraordinarily rewarding. The ability to really impact someone else’s life and have a profound effect – there’s nothing to describe that feeling. 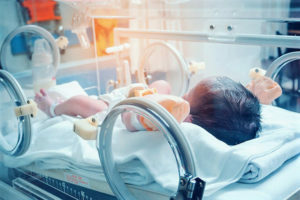 Learn more about neonatology and other pediatric sub-specialties at osfcareers.org.